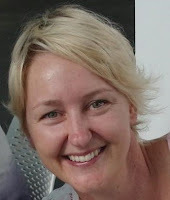 Mandy is an APD, and a member of the Dietitians Association of Australia. She has spent many years working in medical research and this drives her belief and practice of providing nutritional advice and counselling that is based on solid scientific evidence. Working in private practice enables Mandy to practice according to her values of promoting sustainable, positive health change. As everyone is an individual (with a unique health profile, individual food likes and dislikes, and a family/work life), Mandy understands that there cannot possibly be a ‘one diet fits all’ approach. Why should I choose an APD? Accredited practising dietitians (APDs) are University-qualified experts in food and nutrition. They translate scientific evidence and information into individual practical advice. APDs must undertake continuing professional development in order to remain accredited, ensuring that their knowledge and skills are always up to date. A consultation with an APD will usually involve a diet and lifestyle assessment, as well as education and counselling. Follow-up appointments are used where necessary to monitor progress towards health goals.